HTC to launch NFC-enabled phone in third quarter of 2011? Mobile phone manufacturer HTC plans to launch an NFC-enabled smartphone in the third quarter of 2011, according to Bright Side of News. 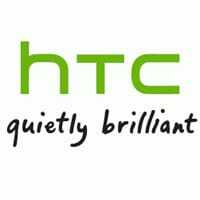 HTC: NFC handset arriving in 3Q 2011? At a recent press event an HTC sales manager who wanted to remain unnamed said the phone would be positioned slightly above the recently announced HTC Sensation. The news comes after NFC World reported last December that HTC chief executive Peter Chou had revealed the world’s fourth largest handset manufacturer has plans to add NFC functionality to its mobile phones. Motorola to introduce first NFC phones next year?